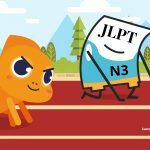 The N5 is the first level of the Japanese Language Proficiency Test (JLPT). To pass JLPT N5 you will need a vocabulary of about 800 words. And you will need to be comfortable reading the hiragana alphabet, the katakana alphabet, and about 100 kanji. The N5 and N4 tests can be useful as a way to describe one’s level of study to prospective classes or teachers. 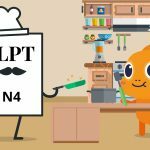 And, because beginning to learn a new language can feel intimidating, the N5 and N4 tests can be helpful as the first two benchmarks to aim for. “Genki I” is one of the most comprehensive and well-written introductory-level Japanese textbooks out there. Its vocabulary is somewhat geared towards college students. But it is perfectly usable by post-college adults and high school students as well. If you complete the “Genki I” textbook, you already have the introduction to nearly all of the vocabulary, kanji, and grammar that you need to pass the N5. The kanji/vocabulary used in “Genki” may not have a 100% overlap with the kanji/vocabulary that can appear on the N5. So once you have studied “Genki I” in its entirety you may want to glance through lists of recommended N5 words and kanji on a site such as tanos.co.uk. Be sure to study any items with which you are unfamiliar. Keep in mind that most JLPT kanji/word lists are unofficial. 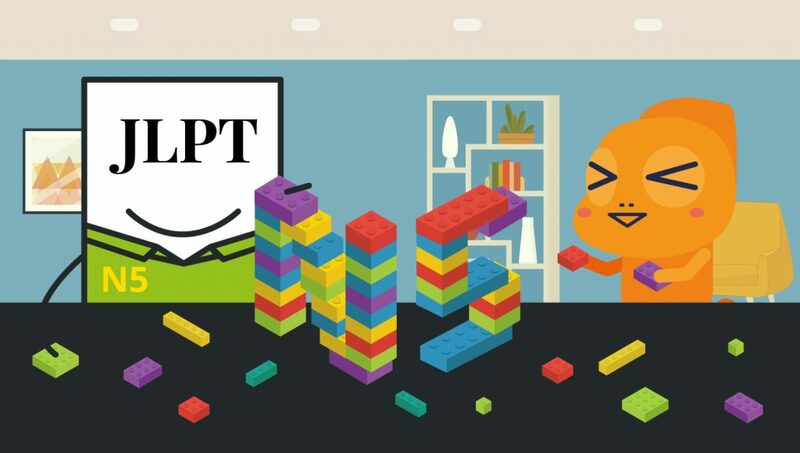 This includes all levels of the JLPT and tanos.co.uk lists. While they probably include all or most words that will appear on the tests, they are not guaranteed to be perfect. Thus, it is always best to err on the side of learning too many rather than too few words when studying for the N5 or any JLPT level. Regarding “Genki I” and grammar; there are two most notable grammar points that may appear on the N5 and are not introduced or included in “Genki I”. These are the “~mae ni” (～前に) and “~te kara” (～てから) patterns. 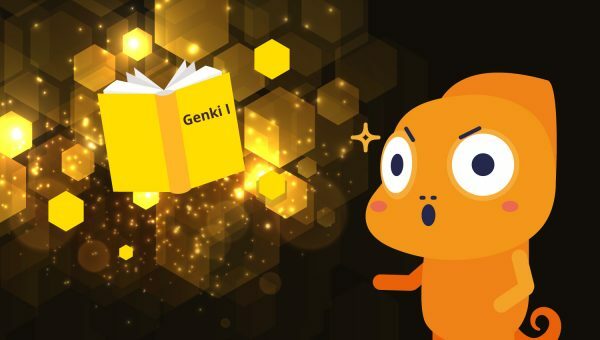 When purchasing either of the “Genki” textbooks, make sure that you are purchasing the second edition. The first and second editions are fairly similar in terms of their contents, but the page numbers were shifted quite a bit. If you wish to compare your work with a friend or ask a question of a teacher, you will have difficulty locating the same part in your two textbooks if you have the older edition. If “Genki” is not your thing, make sure that you do go through a different introductory Japanese textbook. Textbooks can be boring, but using them to gain a good foundation of grammar is important! It is tempting to use Japanese-language media such as manga and movies to practice, and to a degree, these can be very helpful. For instance, watching Japanese movies, especially movies you are very familiar with, can improve your skill at picking out words and phrases. These will improve your pronunciation. However, these resources will become much more helpful to you when you reach N4 and N3 levels of study. At N5 level, comics, books, and movies will contain a great deal of unfamiliar vocabulary and grammar. These may cause you to waste time looking up words and phrases that you don’t need to know yet. Even children’s books produced in Japan can contain surprisingly complex grammar! 2. Websites such as Japanesepod101.com (which is not free, but has some free content on its home site and on YouTube). These resources are split into very specific levels, allowing you to focus on just the material you need to know at any given time. Using resources that are utilizing the same or similar words and grammar to “Genki” (but presented in different ways) will reinforce those words and grammar points. And so later, when you are studying intermediate materials, your foundations will be very strong. Before taking the N5, we advise that you become comfortable and very accurate at reading both the hiragana and katakana alphabets. There is enough time during the test that you do not need to rush too much on the questions, but you do want to be able to read each question quickly. Some of the questions will be specifically testing katakana reading ability. And small mistakes (such as reading a ル as a レ) may result in incorrectly chosen answers. Because hiragana is used constantly and katakana is only used sporadically in Japanese, it is easy to become fluent in one and not the other. 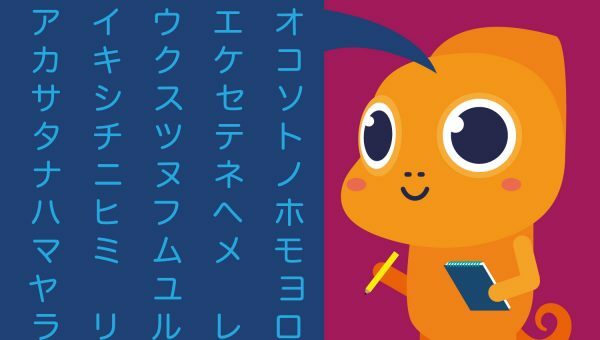 Be careful not to neglect your katakana! Almost all of the kanji in the N5 test will have furigana on them. (This is small hiragana that shows the pronunciation of the kanji). But you will still want to memorize the recommended 100 kanji. Along with questions targeted at testing your ability to read katakana, the beginning of the N5 reading section will also feature kanji pronunciation questions. The types of questions that appear in the reading sections of all levels of the JLPT are relatively similar. (Please see our N2 article for a general list of reading section question type). But note that the paragraphs used in the N5 are usually not very long and the questions are usually quite straightforward. Abstract questions such as author intention will appear on the N3 and up, but generally not on the N4 or N5. One of the primary uses of katakana is to write words borrowed from other languages. A fun way to practice reading katakana is to find lists of such loan words. Try reading them, and then try guessing at their meanings. Though many of the loan words will mean exactly what you would expect, some of their in-Japanese meanings will be surprising and funny. 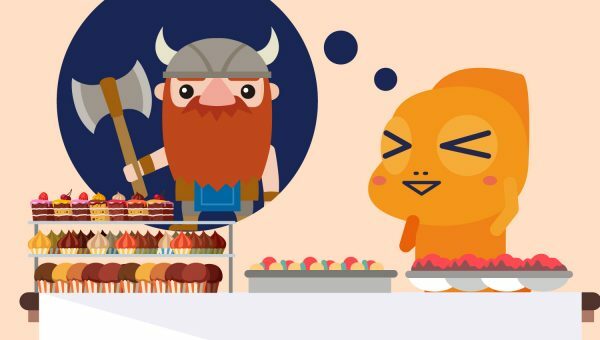 (For example, the word “Viking” (バイキング) can be used in Japanese to mean “buffet”). The types of questions that appear in the listening sections of all levels of the JLPT are relatively similar. Please see our N2 article for a general list of listening section question types. Including listening comprehension in your language practice regimen is important. Neglecting listening comprehension practice will hurt your ability to converse and to take tests such as the N5. Also, it will negatively impact your pronunciation. Japanese pronunciation is fairly simple, but it does contain sounds and cadences that English speakers will find unfamiliar. As we mentioned above, watching Japanese movies (or television) can be a good way to develop an ear for Japanese pronunciation and cadence. However, movies and television will also contain a plethora of vocabulary that you do not need yet. And so, for now, are best used mainly for general immersive purposes as opposed to listening comprehension purposes. For listening comprehension, make sure that you are using the CDs that came with whatever textbook you are using. To supplement these CDs, or if your textbook did not come with CDs, you can check out our own Podcast section here at Kawa Kawa. As well as sites such as Japanesepod101.com. That is all on the N5 for now! 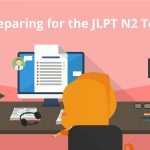 For more JLPT information, please check out our JLPT Roadmap article in our Blog section. Have you taken the N5? What methods did you find were most helpful to prepare? What were your impressions of the test? Leave us a comment below!